Limit 1 per person. Valid toward services. By appointment only. New customers only. In-store services only. Ordered parts not included. Full value of Gift Certificate must be used in 1 visit. 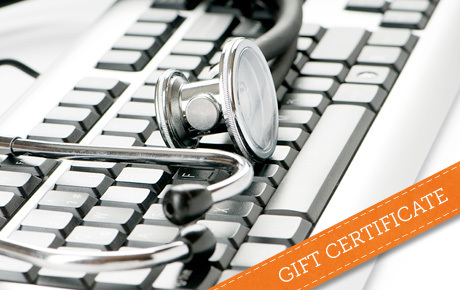 Clean up your computer with 50% off a $90 Gift Certificate to FireLogic in Park Ridge. FireLogic specializes in computer repair for Windows and Mac systems and offers an array of other services. Derrick Wlodarz founded FireLogic in 2010 to provide the northwest suburbs with exceptional tech support. With more than seven years of formal experience and numerous technical certifications, Derrick has the know-how to fix technological issues and teach you about the hardware and software itself. These techie gurus offer everything from basic computer installation and software support to data recovery, virus removal, repairs and training sessions. This dynamic company also provides support for gaming consoles and smartphones, as well as home theater support and installation services. Tech solutions are at hand with this logical deal.